The Biofa natural oil used is top quality oil with great filling properties, penetrating deep into the wood to protect it. The oil is made up of mineral and vegetable components and all of its raw ingredients have been declared. The oil containers do not bear the St. Andrew’s cross (saltire), i.e. no harmful substances. The product emits no toxic substances, such as formaldehyde. The urethane or chemical oil derived from resins and varnishes creates a thin, hardwearing, impermeable surface film. Wax is used to give extra protection on top of the oil finish or varnish. Only by using high-quality professional varnishes can you achieve quality protection and aesthetic results! The varnishes are applied both by hand in the traditional way and with technological varnishing equipment. These finishes are achieved using patinas, pigments and colours of different combinations, requiring longer processing time. Gold, Silver, Copper leaf and dust and other precious metals, in addition to mother-of-pearl with aesthetic results with a three-dimensional shine achieved exclusively by Cadorin’s craftsmen. All "varnished" finishes used in our "Cadorin" wood flooring are carried out with professional varnishes suitable for high-quality wood flooring. State-of-the-art varnishes which, in addition to guaranteeing maximum protection, enhance the grain and the beauty of the wood. 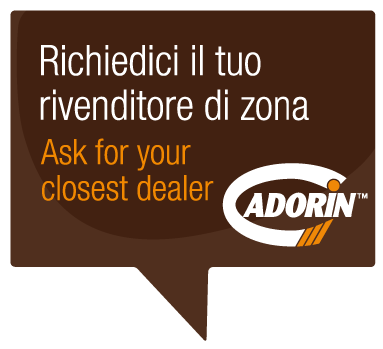 In fact, Cadorin’s choice of this type of varnish is not only due to its mechanical quality, but also to its outstanding aesthetic results that enhance the grain of the wood. We have discarded varnishes that have ceramic components or lead since, although they increase the resistance to wear, they make the varnished surfaces "plasticky”. The varnishes selected by Cadorin Parquet, whilst of minimal chemical thickness, have high-resistance components and have been widely used for several years now for wood flooring for homes and for shops, commercial premises and offices with medium-low footfall. The old varnishes used many years ago (for instance, polyurethane varnishes) actually provided greater coverage thickness, but they were of a lower mechanical resistance. The current varnishes also provide a great technical elasticity to withstand dents and knocks, and there is no "cobwebbing" or peeling of the varnish, apart from the incisions or scratches that cut into the surface. These varnishes require no routine maintenance, waxing or other protective treatment. 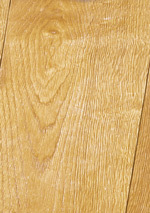 Find more information about floor cleaning on our website page http://www.cadoringroup.com/How-to-clean-a-wooden-floor. The product identification sheet provides more information and details according to the specific type of flooring you have purchased. 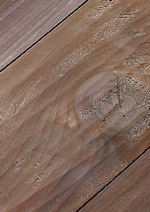 The function of natural oil is to nourish the wood and preserve it over time. Cadorin uses BIOFA NATURAL OIL, a high quality oil with good filling power, which penetrates deep and gives excellent protection to the wood. The OIL consists of mineral and vegetable components and all of its raw ingredients are described in technical factsheets at www.biofa.de. 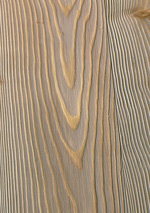 The natural oil does not create a surface thickness such as that of varnish (a thick chemical film), but a layer of oil that is assimilated by the wood over time and which has the function of protecting the wood, which requires re-oiling in time. The wood should be re-oiled once a year or every two years, depending on the wear of the wood flooring, during the first 4-6 years of use, and then according to saturation of the wood pores with very long intervals. 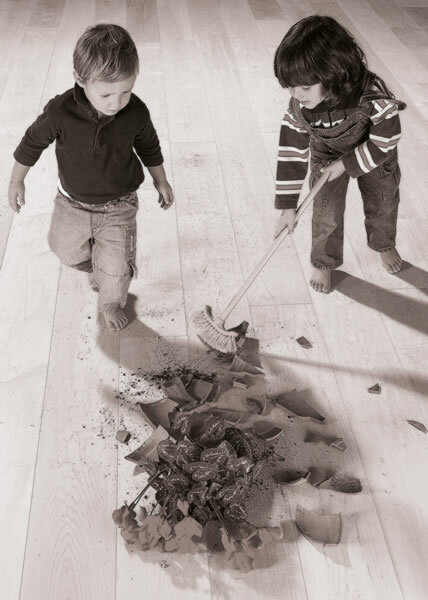 The re-oiling of wood flooring also allows you to treat any knocks, dents or scratches that may occur during use, restoring and renewing the surface. 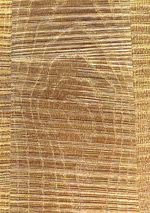 CADORIN Parquet has been using this type of oil for several years and continues to use it due to the quality of performance and to achieve wear resistance over time. 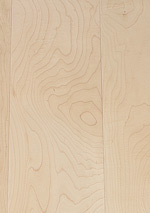 Every supply of oiled wood flooring includes a free maintenance kit for routine cleaning and maintenance of oiled wood. To lengthen the time between re-oiling, BIOFA NAPLANA wax can be used two or three times a year (please do not overuse or exceed the recommended dose). 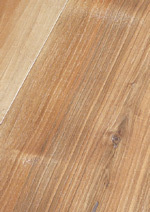 Find more information about cleaning on our website page http://www.cadoringroup.com/How-to-clean-a-wooden-floor. The product identification sheet provides more information and details according to the specific type of flooring you have purchased.